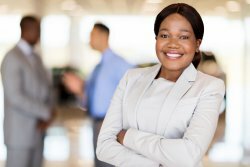 The African Institute of Financial Markets and Risk Management (AIFMRM) held an event for female students where business women shared insights into their exciting and varied careers in Finance. The purpose of the event was to encourage students to consider careers in finance and to address misconceptions regarding limited opportunities for women in this field. « AIFMRM Panel Discussion: Should we finance free higher education in SA?